I want to express our thanks for your attention to safety on this project. The Norwood Company is committed to comprehensive site safety programs that put “Safety First” on all our work sites, and it is important that everyone has that same level of commitment. Your team lived up to our expectations on this project. Second, Norwood holds our subcontractors to a very high standard for quality on all projects. We hired Wallworks for this project to uphold that standard and they met our expectations. Please send our gratitude to your team for a job well-done. In a construction market struggling with a critical labor shortage, Wallworks took a proactive approach to managing labor, quality and schedule for this project. In addition to carefully coordinating the work, Wallworks looked closely at the best use of labor for this project. For this 74,000 sf rehabilitation facility in Pennsylvania with a tight schedule, Wallworks used panelized roof truss and exterior wall assemblies. By prefabricating the assemblies in a climate-controlled environment, Wallworks was able to eliminate the productivity delays associated with an on-site stick-framing process in bad weather conditions. The prefabrication construction method allowed Wallworks to drive the project ‘from slab to roof’ in 15 weeks – saving 6 weeks of time. Portions of the building were under roof in 8 weeks, which allowed other work, such as MEP and drywall to be completed ahead of schedule. The Project is a $19M state-of-the-art rehabilitation services for patients leaving the hospital but who are not quite ready to go home. 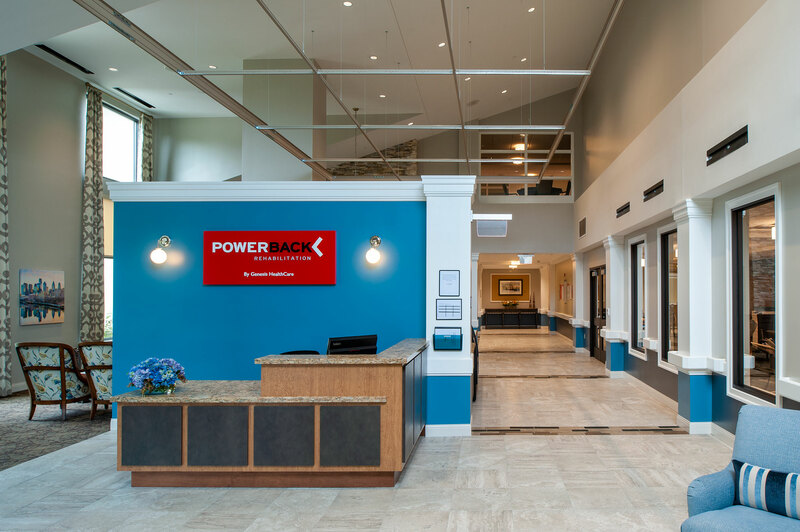 PowerBack Rehabilitation was launched by Genesis HealthCare in 2012 in response to the market demand for shorter post-hospital patient recovery periods and fewer post-discharge setbacks. The 74,000 facility includes 120 private suites, a 4,500-square-foot therapy gym with the latest therapy equipment, spa services, a large movie theater, game room, as well as bistros, food services and more. Wallworks takes a proactive approach to managing labor, quality and schedules.